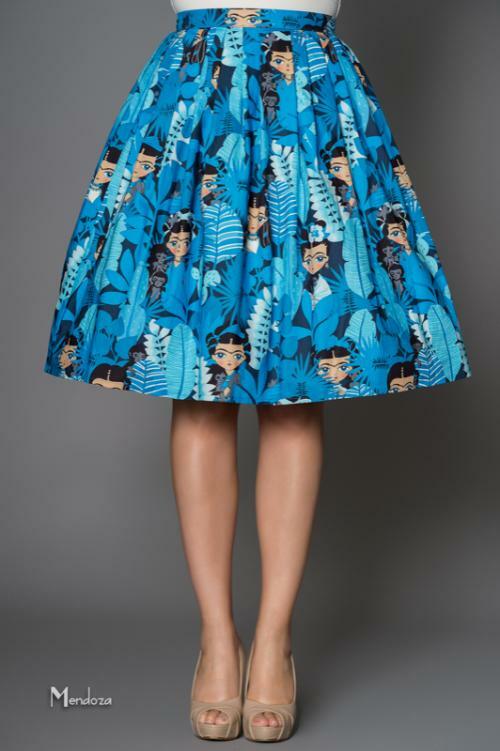 Full pleated skirt with a zip and clip fastening. Can be worn with a petticoat underneath. 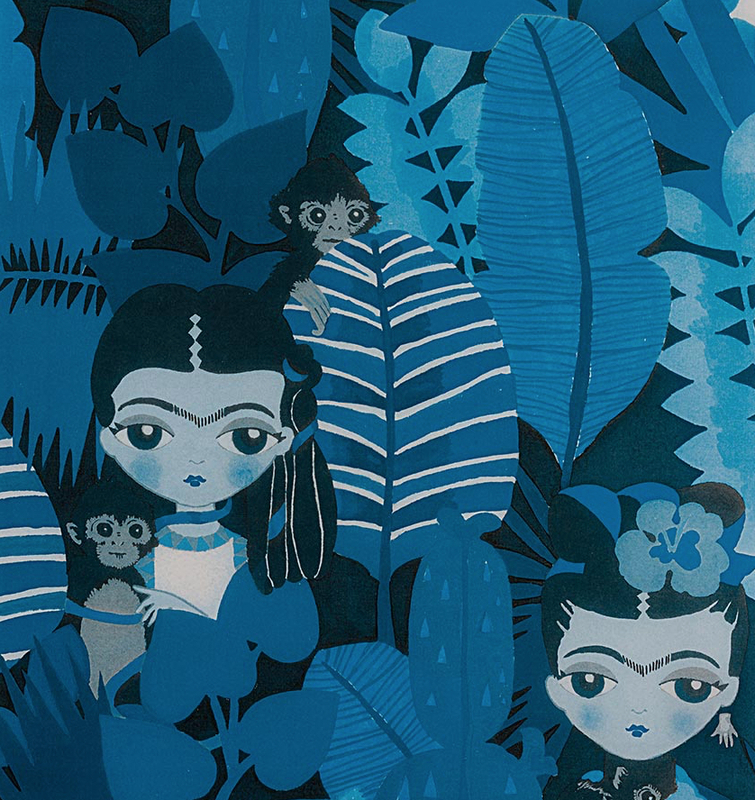 Here in a gorgeous print featuring Frida with little monkeys. cute!